Having road trips with friends is always a fun and memorable way of spending time. Problems arise when you are made the designated driver for long trips. Staying in a car for long periods is usually very tiring and even worse for the driver. To help make it bearable, cruise control technology was developed about 15 years ago. Cruise control is a type of technology developed to maintain the speed of a car at a constant level with a driver's foot off the pedal. Its application is as easy as it gets with no complications whatsoever. A driver just needs to drive to his desired speed then press the cruise control button. 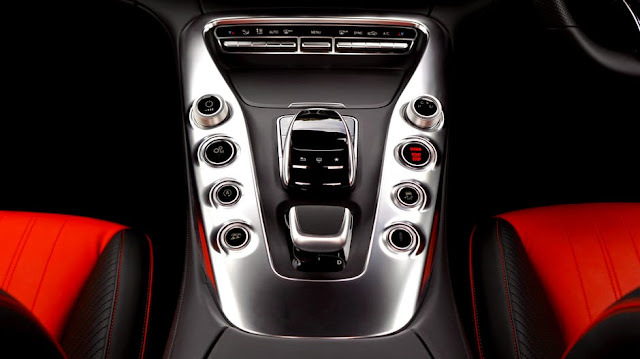 To maintain a fixed speed the car makes automatic adjustments on the car's throttle. This function is supported by the fact that cars with cruise control are fitted with two cables. One is used during normal driving and the other that takes over when cruise control is activated. The cruise control cable adjusts the throttle which in turn adjusts the power and speed of the engine by controlling air intake. This process allows the car maintain a constant speed. To deactivate the cruise control feature, a driver just presses the exit button and regains the car's control. Braking is an easier way of deactivating the system. Accelerating, on the other hand, does not deactivate the cruise control feature. When the driver takes off their foot on the gas pedal after acceleration, the speed will stabilize at the set cruise speed for the rest of journey till deactivation. The cruise control feature has limitations which have necessitated further advancements. The system only maintains a constant speed and does not take into account object ahead or behind it. This makes the car prone to alot of accidents, say for example the number of cars on the roads increase or you get stuck in jam. Different cars move at different speeds on the road. When one moving at a fixed speed meets a slower one ahead, a collision is inevitable. Necessity being the mother of invention, this flaw led to the improvement of the technology. Consequently rose the birth of the Adaptive Cruise control system. Adaptive cruise control, to put in in simpler terms, is a more intelligent and advanced form of cruise control. To enable it, cars are fitted with sensors on the front that monitor traffic ahead. This is in conjunction with computers that control a car's throttle and brakes. To operate, a driver attains a desired maximum speed and activates the system with the press of a button. Once set, the sensors on the front monitor traffic and other obstacles. Once another car is detected driving at a lower speed, the sensor communicates with the car's computer to slow down the car by reducing the throttle. After the car moves, the throttle increases automatically back to the set speed. In case the distance from the front car becomes too minimal, an alarm to warn the driver to brake goes off. More advancement in the field has enabled the car to brake automatically without the driver’s intervention. Developments in adaptive cruise control have allowed the realization of dreams of making fully autonomous cars. How? Cars are now able to accelerate, decelerate and change lanes when needed with help of cars sensors only. Car manufacturers have already leveraged on the technology to make self-parking cars. Mercedes S class models and the Volvo S90 and V90 models have leveraged the tech to make the cars brake automatically. This is in cases where the car detects an imminent collision. Cruise control and adaptive cruise control systems have been really helpful innovations. People can comfortably drive for long periods of time without too much fatigue. Road safety has improved with cars being able to detect objects in front and stop automatically. It would therefore not be shocking in future to see drivers fast asleep on the wheel with a car maintaining its lane and speed.